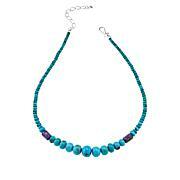 Never underestimate the power of gemstone color in your wardrobe. 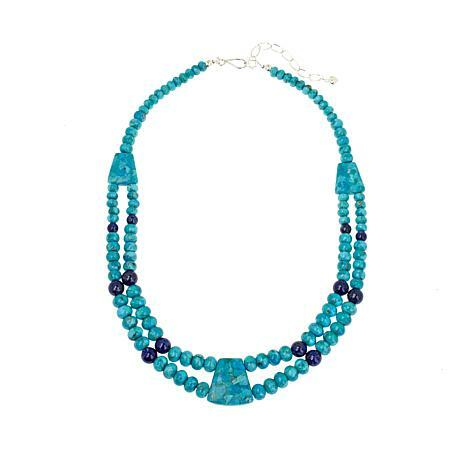 Beautiful blues, like those found in this turquoise and lapis necklace, can make all the difference in an otherwise unremarkable outfit. 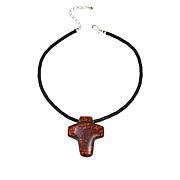 Use this handcrafted necklace to top off a plain white top or stone-washed jeans and get ready for the compliments! This necklace is beautiful. I love the look of it in the picture online. 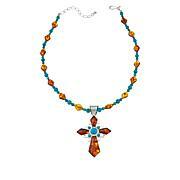 However, on my neck the top strand of beads on one side of the necklace hangs on or below the other. I tried two, and both did it. Sent beck. Sorry to see them go. This necklace is so so. I tried to wear it high up on my neck and all the way down. It just don't lay right. The slightest move that you make, it turns on you. The turquoise is nice thou but just not for me. I ended up returning it.